Instead of buying new battery packs for your tools or equipment, why not have them rebuilt? 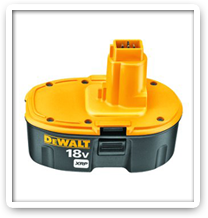 Is your battery no longer available, but you don't want to just throw away a perfectly good drill? Let us help you! Most of the time, our rebuild capacities are equal to, or greater, than the original. This also comes at a fraction of the cost of buying a new pack, in most cases. There are some battery packs that can't be rebuilt. If the case for your battery pack is glued together, the chances are, it is not able to be rebuilt. Call us at 1-800-899-7811 if you are unsure if your battery pack is rebuildable. If your pack is held together with clips or screws, we can help you. 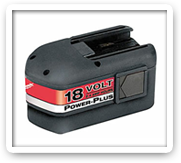 If your pack cannot be rebuilt, check out our selection of original and aftermarket tool batteries. If yours is not in stock, we can usually get it through one of our many suppliers. It is very easy to have your battery pack rebuilt. Simply send us your old battery packs along with your name, address and phone number. Once the packs are received, we will call you with your rebuilding options, and after the option is chosen, use your credit card information to process the order. 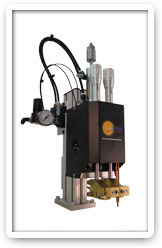 Then the battery packs will be rebuilt using our state-of-the-art dual pulse resistance welder. After they are tested, they will be shipped back to you for one flat rate shipping fee of $11.95 within the continental U.S. We offer free shipping to our customers that have 10 or more batteries to be rebuilt at a time. This process is usually completed within 3-5 business days of receiving your battery packs. All of our battery pack rebuilds come with a 6 month warranty. This warranty covers the workmanship and materials used in your rebuild. The warranty does not cover loss of capacity, which is a natural occurrence that takes place over time. Packs that are abused and subsequent breakage of the case or terminals is not covered. We are very proud to say that over the many years rebuilding battery packs, we have a warranty claim rate of less than ½%. Packs rated at 1500MAH are for people that use their tools occasionally around the house. Packs rated at 3300MAH are for professionals that rely on their battery packs to "make-it-happen" on the job.